During the last two week-ends, I went to two different events. That's part of my end-of-year sprint where I travel too much: SUSEcon and openSUSE Summit in September, OpenStack Summit and openSUSE Conference in October (oops, didn't find time to write about these events), two weeks vacation in Thailand in October/November (yes, we enjoyed the time there! ), one week of team meeting in Prague right now, and two other trips to Paris during those few months... Crazy planning! I attended these events with my advocate hat to deliver GNOME-related talks (and also to chat with people a bit about openSUSE, and of course to meet good friends of mine ;-)). I feel there's a big need on GNOME's side to communicate more and clarify our direction and opinions, and on top of that, there's a lot of mis-informed statements around that people blindly trust and that need to be debunked. My talks were simply part of my local contribution towards that goal. And apparently, that's something that seems to be most welcome! The Journées du Logiciel Libre (or JDLL) is an event that occurs every year in Lyon. Lyon being close to home, it's an event I can attend quite easily and this is not something I can complain about ;-) We did have some great people at the event this year, including a french-turned-british-turned-french-again guy. When I got asked to give a talk about GNOME this year, I wasn't sure I would have anything really interesting to tell, so I suggested an interactive session around the recent hot topics in GNOME (you know, GNOME OS, systemd, fallback mode, etc.). In the end, even though I had many slides ready, we simply discussed the questions that were raised by the audience, and I believe that this session proved to be very useful for the attendees. So a good experience, and a format I'll likely use again. I also had the opportunity to play a bit with Firefox OS. I've been following the project for quite some time but never took time to really try it, so I was really glad to be able to take a long look at it. There's still some work to do, and, hrm, well, that was visible ;-) I managed to crash things without even trying to be nasty. I hope it will take off, though: there's a need for an alternative closer to our ideals. 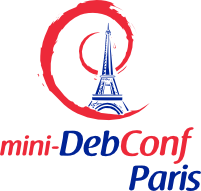 The Debian France team organized a Mini-DebConf in Paris, and I was invited for a slot. I chose to talk about GNOME vs downstreams , and discuss the love/hate relationship we have, and how the future direction can be good/bad for different downstreams. The idea was simply to get out some information out about what GNOME is doing, and to clarify where the project is heading, as this has some pretty big impact on our downstream friends. Obviously not everything is perfect in GNOME but I feel that the project is, overall, doing okay as an upstream. (I'm kind of sad to discover an ABI breakage in glib after I told to Stefano and Lucas that we were not breaking ABI in our platform; oh well). This Mini-DebConf was a pleasant surprise, as there were quite a number of attendees, and the whole event went quite smoothly (well, at least for the day I was there). It was also interesting to hear about the different opinions with regards to the Debian release cycle (got some pretty good food for thoughts), and I enjoyed Sylvestre's talk about making Debian compiler agnostic. The event had many other great talks — definitely an event I'd recommend attending, even to non-Debian people.